Hipsters of the World: Unite and take over! Having observed its Micro Four-Thirds comrade/competitor Olympus successfully target those modern young things that love everything presenting a passable cover version of authenticity – hipsters by any other name – Panasonic chose the world’s biggest sand island (!) to launch its first dedicated street photography system camera. Targeted at street photographers and enthusiasts looking for a lighter solution than a DSLR kit, Panasonic’s GX7 marries retro design with the latest in digital imaging technology. Wi-Fi and NFC connectivity make for convenient image sharing while the 22 filter effects will appease those who like to fun with their photography. Best Feature: The 90-degree tiltable Live View Finder with 2,764,000 dots. 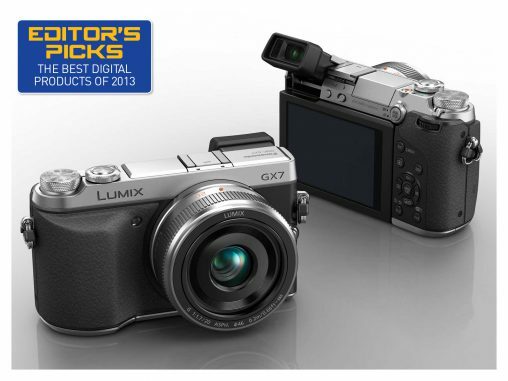 Our message to retailers is to make sure you are selling the GX7 to the right customer. It has a small body and a lightweight lens. If a customer comes in wanting to buy a DSLR, they might be going on a once in a lifetime holiday — with a lighter system they can take much better images than a compact and images that are just as good as a entry-level DSLR, but without the bulk.